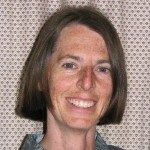 Ruth has worked in international education development since 1999 as a consultant, advisor, researcher and trainer. Her primary areas of expertise are girls’ education, education in conflict affected countries, teacher training, school quality and learning outcomes. She is an active member of the Inter-Agency Network for Education in Emergencies (INEE), acting as a technical expert for the development of Teaching and Learning Guidance Notes, and as a member of the Gender task team. She is experienced in the use of participatory and objective methods for the monitoring and evaluation of education programmes, including the collection and analysis of education statistics.